We discussed some bad habits and made suggestions on how to avoid them. The Warwick volunteers taught us a lesson on pronouns and when/how we use them. We made sentences using pronouns, such as him, her, it, them, me, us and you. After that we planned the lessons for evening classes with the different groups. 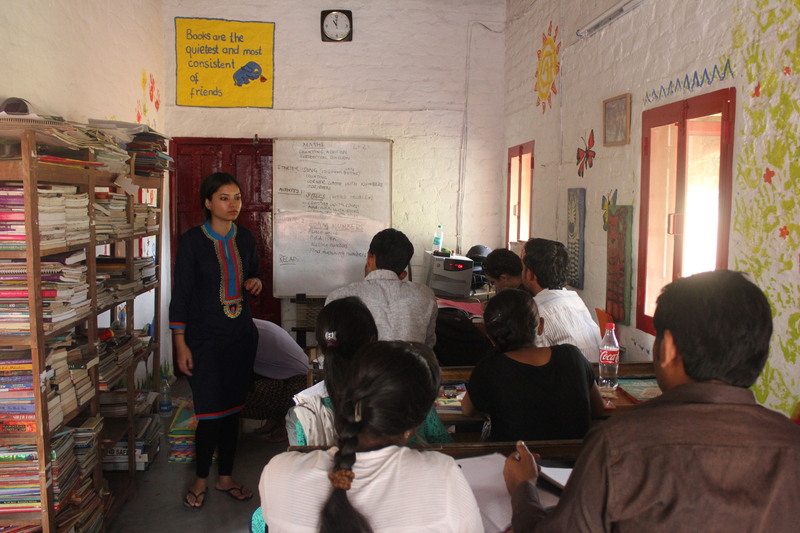 Today Kim and Ash planned lessons with Reetu and Sangeeta for up to class 3. 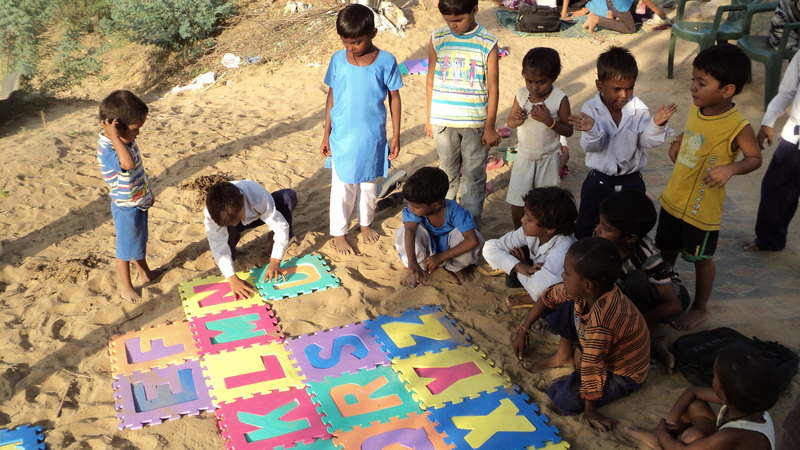 They included foam alphabets in their lesson plan and wanted to show the students how to make some words with foam alphabets, e.g. cat, bat, mat, rat etc. They also used the picture flash cards for alphabets. Evening: – We divided the Warwick volunteers into two groups. Ash and Kim went to Manger Hill; Sara and Cat went to Manger Village, where we need more hard work. On 28th of August 2014, we started off our morning session with a discussion about yesterday’s lessons and got some ideas on how to make the teaching more effective. We recapped yesterday’s topic (pronouns) and started the new topic which was possessive pronouns; mine, yours, his, hers, its, yours, theirs etc.Then we made sentences using the possessive pronouns we learnt, for example: ‘The book is mine’, ‘The dog was theirs’. Evening: – Today Kim and Ash went to Silakari centre; Sara and Cat went to Alampur centre and I went to Alampur with them. As I mentioned in my previous blog post, we need more hard work to build a rapport with the community. There are always lots of students standing outside the centre but they don’t want to come to study. Today they were standing and watching us when we were playing a circle game. We are trying hard to modify their attitude, because at the moment they don’t understand the purpose of Laksh Foundation. I think you guys are doing some fantastic work out there! Keep up! !